There is a snippet of Sandgate Road that most people don't travel on. Only locals take the turn off to go over the George Bridges Tunnel (irony, anyone) and down the three block section of road I think of as the Nundah High Street. It's nice bit of road that helps the area feel like a properly lived-in suburb with pub, cafes and shops. 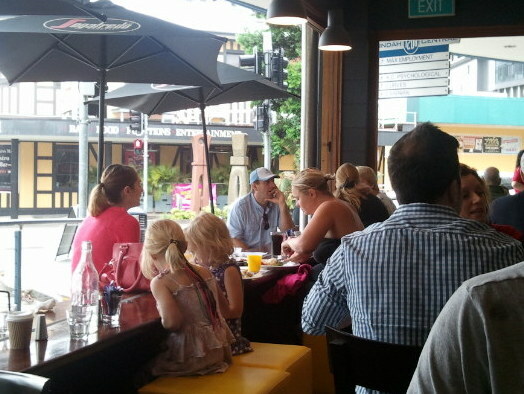 On that little bit of high street is Jam, probably the most popular breakfast joint in the area. 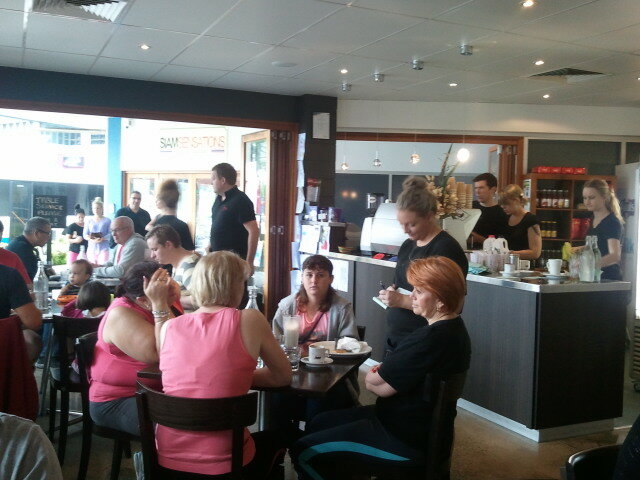 It doesn't matter what time of a weekend morning you walk part it, Jam is packed and has a few people patiently waiting for a table. This Saturday, in the steady rain, my plus one and I spontaneously visited Jam for a rainy-day hot-breakfast treat. And it was pretty clear to us why it was packed out all weekend. The menu was typical breakfast eggs benedict, various stacks and french toast but with just the right amount of interesting. A bit of chorizo here, salsa there. 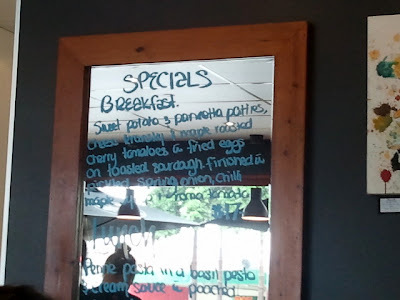 I love going out for breakfast and I appreciate thoughtful and interesting breakfast menus, but I also don't want to have to over-think my choice. It's breakfast. I probably haven't had coffee yet and I don't want to have to debate between organic sausage roulade or mushroom three cheese two-egg-white omelette. Jam's menu is tasty but undemanding and even better, reasonably priced. I would have been happy with just about anything but I chose corn and capsicum fritters with avocado and tomato salsa and balsamic dressing. 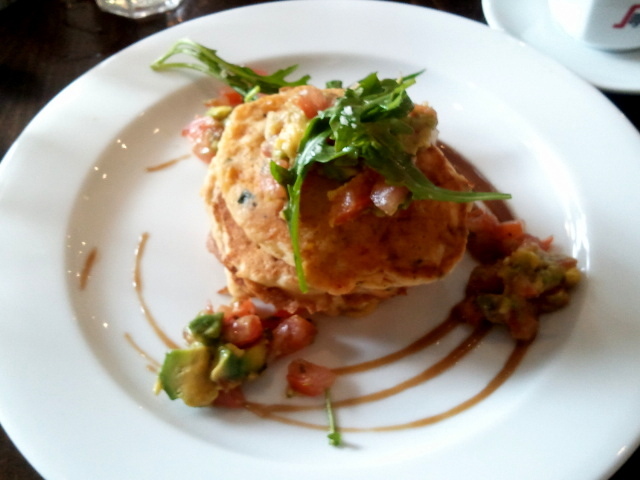 Corn and capsicum fritters with avocado and tomato salsa and balsamic dressing, $14. My plus one had a make-up plate of scrambled eggs on toast with extra toast and bacon and we shared a side of hash browns, for $13 then the hash browns were $3. With a coffee each, one soy and one in a mug, the total bill came to $37 and we were very happy and very full afterwards. Other considerations; the service was cheerful and very quick, no complaints at all. It was a nice place to sit and the indoors/outdoors nature of the cafe meant a lot of noise drifted out while fresh air wafted in. Yes, you are likely to have to wait for a table but no one had to wait long. The special was sweet potato and pancetta patties, cheese kransky, maple roasted cherry toms and fried eggs on sourdough with various pickles for $17. The couple next to us got one of those each and neither finished it it was so large. It looked very tasty. 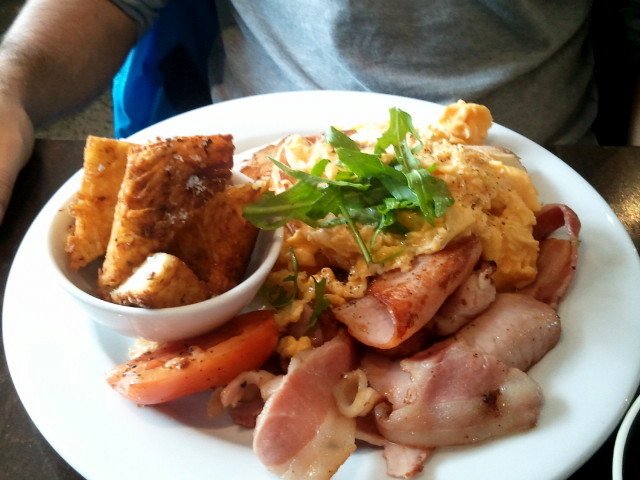 If you're a north-sider I would definitely recommend Jam as a hale and hearty breakfast location.